I met Andrea through my partner in cuisine crime. She and our friend Larry came over for lunch about a year ago. They were on a no-carb diet. I went bonkers trying to come up with a carb-free meal. It was no easy task given the fact that my middle name is potato. The day led to sugar-free cocktails, then margaritas, and ultimately a ravenous scavenger hunt for dessert. I had a bowl of leftover chocolate ganache in the fridge. Andrea had to have it. She cleaned the bowl like a an obsessive-compulsive maid locked in a porcelain-packed showroom. I mean, The Colonel would’ve been proud of her passionate performance of his famous slogan. Ever since, I’ve included ganache in just about every dessert I’ve made for her. Her birthday treat was no different. I thought about making a ganache-covered cake or a ganache-topped cheesecake. But ganache wouldn’t be the star. 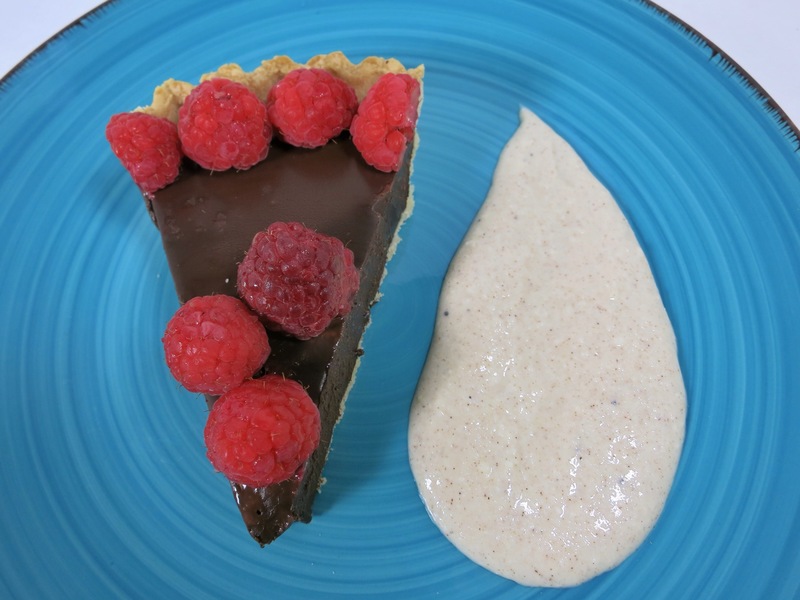 I decided to create a ganache tart that would put the chocolate truffle concoction front and center. Because it would be more rich than Trump I served it with tart raspberries and sweet cannoli cream made with ricotta cheese. Heads up. You’ll need to drain the ricotta overnight, and the ganache takes a few hours to set up. This isn’t an instant dessert. But it is very easy. 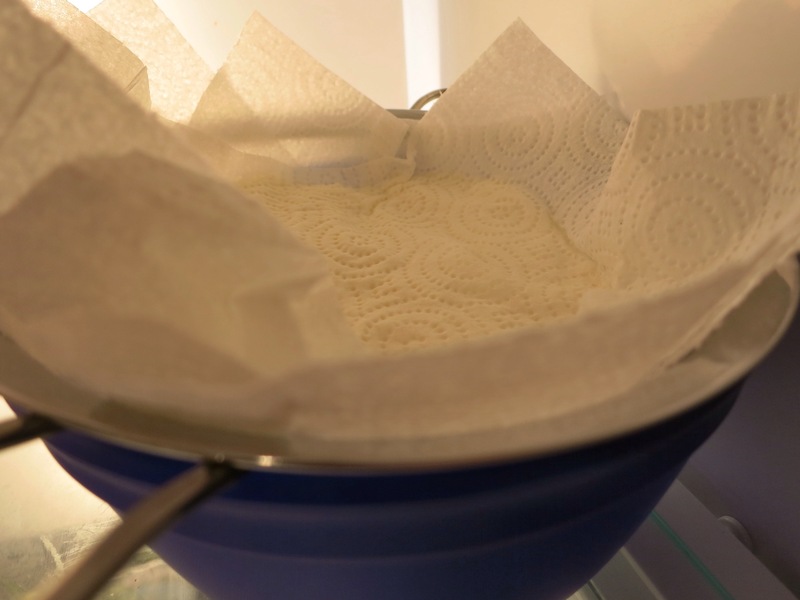 Put a strainer lined with 2 pieces of paper towel over a bowl and dump in the ricotta cheese. Put it in the fridge and let it drain overnight. 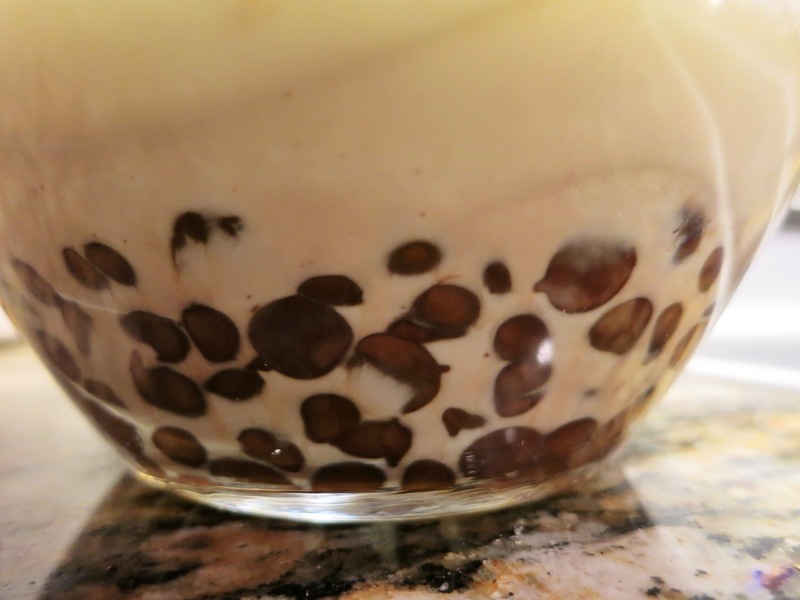 This gets excess liquid out of the cheese to prevent watery cannoli cream. 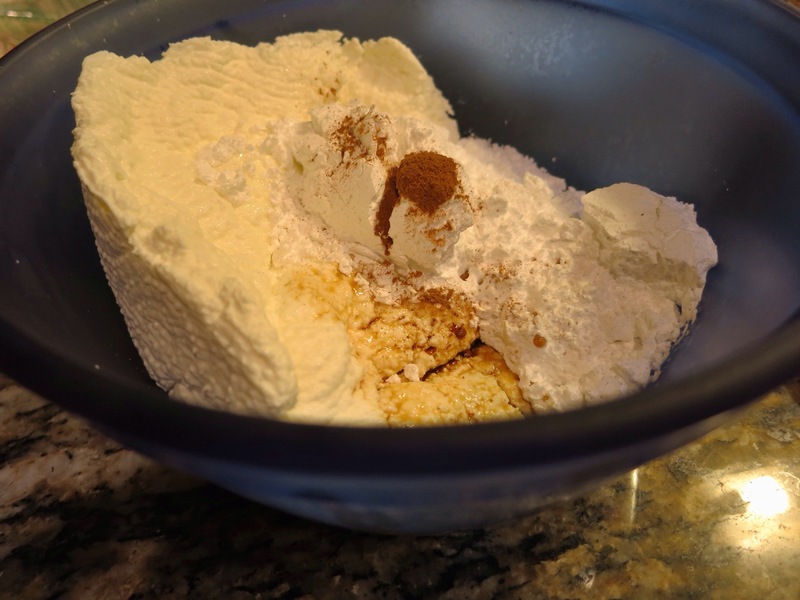 When you’re ready to make the pie, squeeze the drained ricotta in the paper towels to get rid of any leftover moisture and dump the ricotta in a clean bowl. Add other ingredients and whisk to combine. Prepare the crust according to the directions on the package. You won’t be baking the filling so don’t follow those rules, follow the ones that are for an un-baked filling. That usually involves blind-baking the crust. 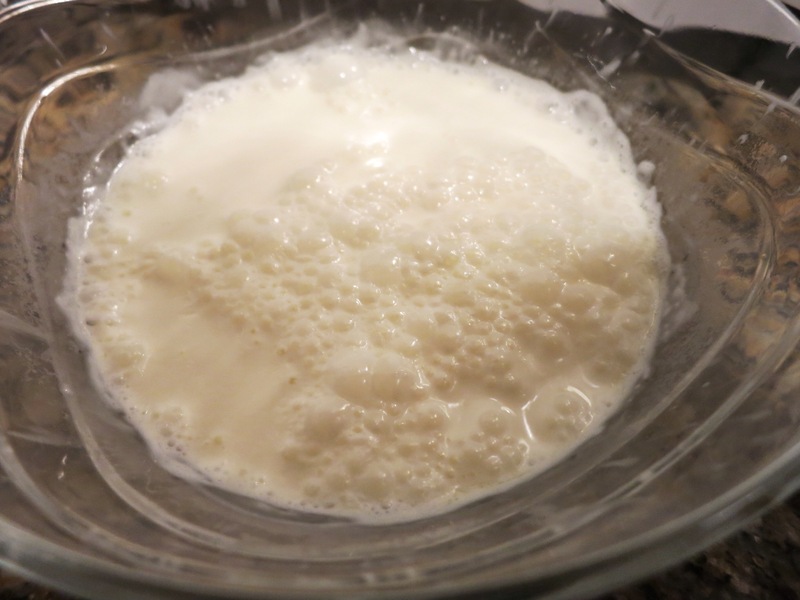 When the crust is cooled and ready, put the heavy cream in a microwave-safe bowl and nuke for 2 minutes. It’ll bubble. Add the chocolate chips and the pinch of instant espresso powder. Do not stir. 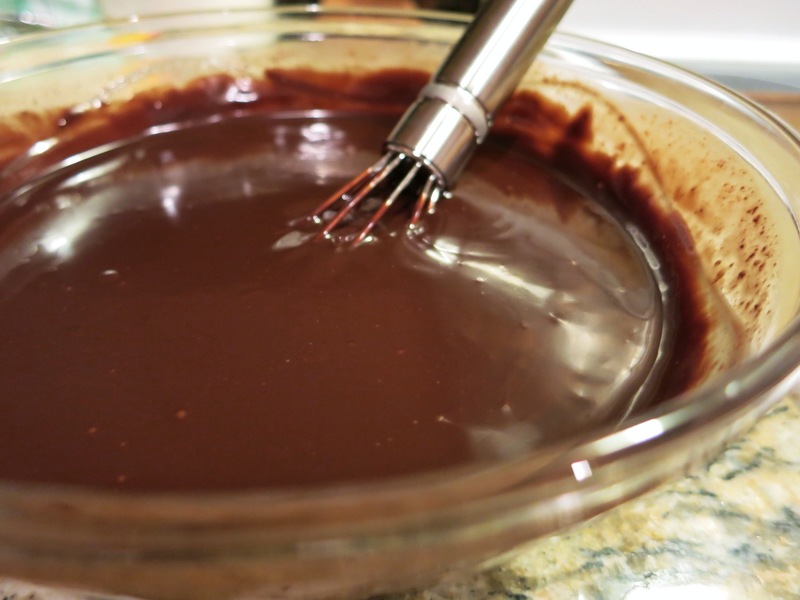 Let the chocolate sit in the hot cream for 5 minutes, then whisk till smooth. 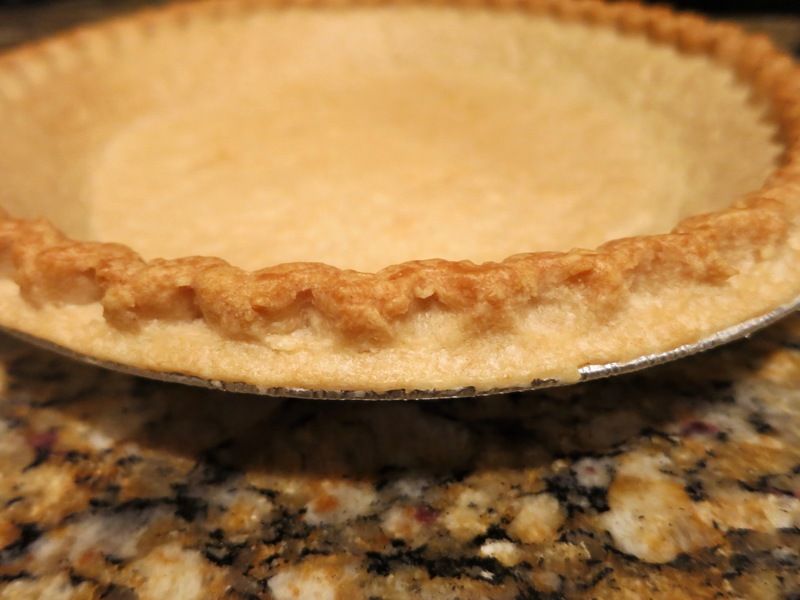 Pour the ganache into the prepared pie crust and refrigerate for at least three hours and up to overnight. 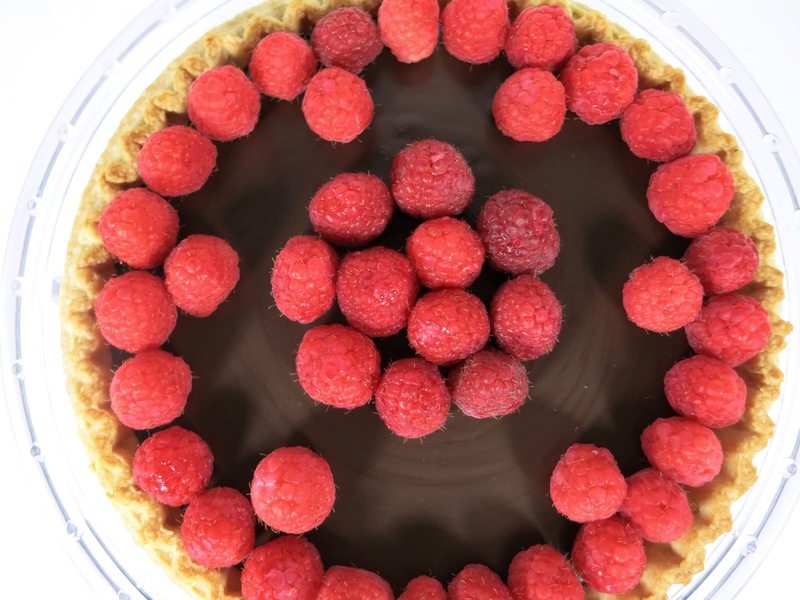 When you’re ready to serve, arrange the raspberries on the set ganache. Serve each slice with a smear or a dollop of the cannoli cream. The pie is decadent and velvety. It’s like a millionaire’s chocolate pudding pie. The raspberries are fresh, bright, and a tad tart. The cannoli cream has texture and cuts the intensity of all that chocolate. I have a feeling she’ll request this next year. Just a hunch. Tip: Instead of raspberries, try topping the pie with crushed sourdough pretzels, whipped cream, softened mint chocolate chip ice cream, or even potato sticks.